"those bodies that dye in the correction-house; the bodies of fundlings who dye betwixt the tyme that they are weaned and thir being put to schools or trades; also the dead bodies of such as are stiflet in the birth, which are exposed, and have none to owne them; as also the dead bodies of such as are felo de se (suicides); likewayes the bodies of such as are put to death by sentence of the magistrat." But the number of executions had been going down as well, thereby worsening the shortage of cadavers. This lead to enterprising "resurrectionists" like Burke and Hare who began to rob the graves of the recently deceased to sell the bodies to anatomists. About 1816 the first "mortsafe" was invented. 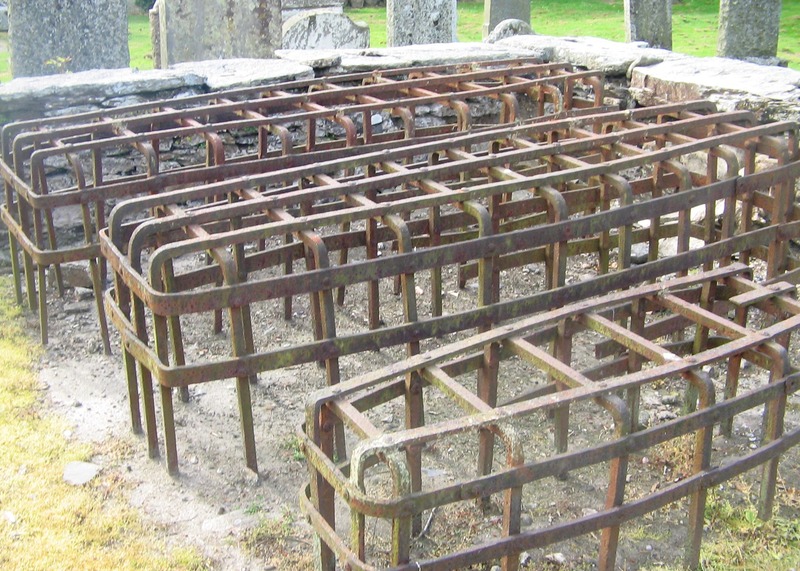 These were iron and stone cages meant to keep out the grave robbers. In some cases they were temporary and used just until the body had decomposed long enough to become useless to the anatomists, and the body would then be the buried in its permanent resting place. Other ways of keeping away the resurrectionists included hiring men to protect your loved one's body for a period of time. In some church yards "watch houses" were built where a man could stand guard overnight. The year that the Udny Mort House was built the Anatomy Act of 1832 was passed. The act gave physicians, surgeons and students legal access to corpses that were unclaimed after death, including corpses of those who had died in prison or a workhouse. Further, a person could donate the corpse of a next of kin in exchange for burial at the expense of the anatomy school. As a result, the Udny Mort House was only used for its original purpose until about 1838. It was used as a rifle store in the Second World War and is now treated as a "rare and important structure" by the Scottish Church Heritage Research. Another option was a Mort House. These were secure buildings where the cadavers could be locked and protected until they decomposed enough to be beyond the use for study. 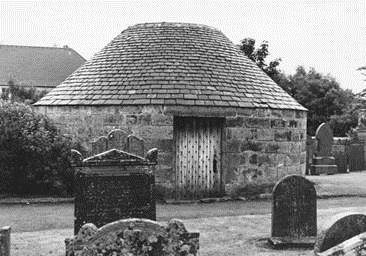 The circular Udny Parish Church Mort House was built in 1832. Udny Parish is a congregation of the Church of Scotland at Udny Green, Aberdeenshire in the north-east of Scotland, some 15 miles north of Aberdeen. The Mort House (Left) is a windowless, granite chamber with a strong oak door and a lock requiring four separate key holders, as well as an inner iron door to secure the defenses. 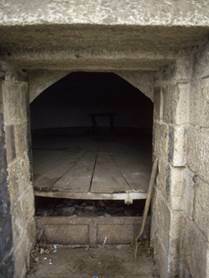 Inside, there is a turntable on which the coffins would be placed. Bodies could be kept on the turntable in the order in which they passed, and kept a minimum of 7 days, or up to three months. Common rules for mort houses included the construction of coffins, which had to be made from well-seasoned wood, and completely air-tight. Bodies considered to be infectious were sometimes required to be sealed in tin plate or lead. The Udny Mort House was built by "subscriptions", or donations. Non-subscribers were allowed use of the vault by paying between five and twenty shillings. The amount charged was at the discretion committee that organized the construction of the building. Four members of the committee were key bearers, and it was compulsory for them to be present to open and close the vault whenever necessary.